Here's a twist on "taking the music to the streets" -- they took it to the rest stop off the Interstate. WILLIAMSTOWN -When travelers stop off at an interstate rest stop, they typically expect to run in, use the restroom, patronize a vending machines and be on their way, but most probably would not expect to be serenaded. At the Williamstown Welcome Center just off I-77 on Tuesday evening, however, passerby got just that. The River City Treblemakers, an all-male a cappella barbershop chorus based in the Marietta-Parkersburg area, performed a one-time rehearsal within the main hall of the rest stop to both get in some practice and attract an audience. "When I got in here I thought I was interrupting something, then I realized these guys were just singing," said Florida resident Robert Yocum, who stopped in with his son on their way back home. "But this is awesome." The group is comprised of approximately 20 men of varying ages who in their free time come together to sing in the traditional barbershop style to tunes like "Swing Low" and "This Little Light of Mine." Barbershop music is classified as a form of unaccompanied a cappella singing characterized by consonant four-part chords that developed out of the 1930s barbershop revival. "We run from teenagers to men up in their 80s, but we love to sing and harmonize," said President Russ Reid, of Marietta. "We love to share our music, so you name it, we sing it." The group normally rehearses at a local Parkersburg church, but because the venue was full Tuesday, the singers decided to hold a public rehearsal. "We just thought we'd come out here and see if we could draw a crowd," said Director Bill Hathaway, of Marietta. Hathaway said the group does not have any official upcoming shows scheduled. "We sing at a lot of nursing homes and at different events, and we're available by request," Hathaway said. Reid said the group is part of the Johnny Appleseed District, which comprises Ohio, Pennsylvania, West Virginia and Kentucky, as a larger member of the Barbershop Harmony Society. "Most are members of the harmony society, so we're a part of a worldwide organization," he said. "This is a combination of Marietta and Parkersburg guys and the surrounding area, from Belpre to New Martinsville." Yocum said the performance was a great way to break up a long trip. "I love this way of harmonizing music, and it's nice to listen to if you liked it and just wanted to come sit," he said. "And they're quite good." Yocum's son, Adam, shared the same look of confusion upon walking in, but stood with his father to listen. "It's very peaceful," he said. Reid said the group will resume its Tuesday evening practices at the Good Shepherd Church in Parkersburg. "Unless someone asks us to come back, then we'll perform any time they want us," he said. Williamstown resident Bob Nestor heard the group was performing and sat down to watch with his wife. "If they came here any time, I'd come down and listen to them," he said. Nestor said he knew one of the men singing, and wished the group did more rehearsals for the public ear. "I just think it's great and a great location," said his wife, Barbara. The Treblemakers have been singing tunes in the barbershop style for about seven years, with Hathaway serving as the director since then. 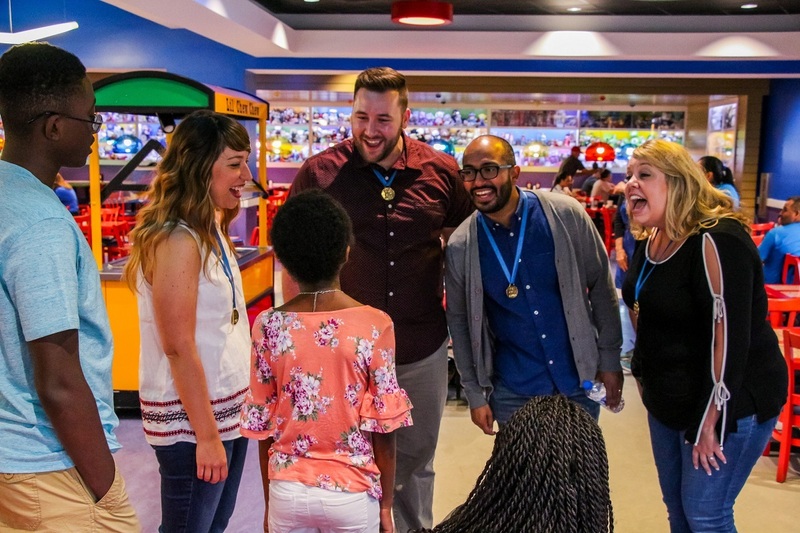 The group also sponsors young barbershop-singing hopefuls to attend Harmony Camp sessions held in Columbus and Cincinnati that train singers in a cappella singing. 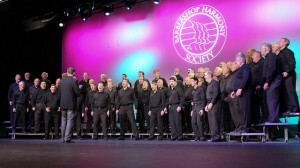 "The main thrush of our organization is to promote barbershop singing," Reid said. "And we're all here for our own enjoyment." Marietta resident Violet Blair, a member of the River Harmony Chorus made up of all women, came down to check out the friendly competition. "There's so many of them, but they sound so good," she said. "There's only about 12 of us, but I wish we sounded like that." via Sweet songs: Barbershop chorus welcomes weary travelers - MariettaTimes.com | News, Sports, Jobs, Ohio, Community Information - The Marietta Times.